You're a police dog, accidentally left at a crime scene. You need to get back to your handler, but things couldn't be worse for you. It's almost night, you are all the way across town, and there is a maniacal dog catcher that is looking to put you in the pound. Run and jump over obstacles and get as far as you can in this running adventure. 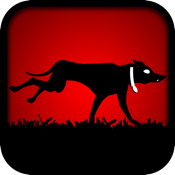 Dog run escape is a challenging and fun cartoon based running game that is addictive and fun for the whole family, be it boy, girl, woman or man, you'll love it. You race against time to get as far as you can. The controls are very simple -- tap the left side of the screen to jump and tap the right side to slide under obstacles. The game will automatically run for you. It's time to get running and jumping. Download Dog Run Escape right now for some top shelf fun, and get back to your handler -- he's missing his beloved pet dog.